We have a variety of high quality mattress types and brands that you will fall in love with! Best Los Angeles Mattress Sale’s main goal is delivering a great night’s sleep to every single client. We also seek to educate the public about how important it is to receive a good night’s sleep. Investing in a mattress is investing in your health. This is why we only have the finest quality bedding, with outstanding customer service at the most competitive prices around LA! From cal-king gel memory foam to twin Therapedic mattresses, we offer a wide selection of types, brands, sizes, and comfort levels. 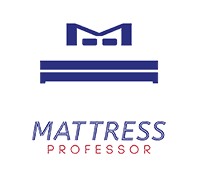 Our Mattress Professors are here to answer all of your mattress related questions efficiently and promptly. We have worked hard for over 30 years in this industry in order to bring our customers the absolute best quality mattress products possible. Don’t worry, we already did all the hard work for you! We have taken the hassle out of mattress shopping just for you. Our showrooms have been merchandised to the needs of our customers while maintaining a wide variety and selection and reducing cost which is passed along to you the consumer as savings! Shop now and choose from a variety of high quality mattresses for a fraction of the cost. We guarantee that you will find a brand name mattress here for less!